A few weeks ago I got to visit my brother at Ole Miss. I fell in love with Oxford, its just the cutest town! The boys were dashing and the girls were darling and campus was to die for. I wore a dress and vest borrowed from my best friend and two pairs of tights cause it was chilly. 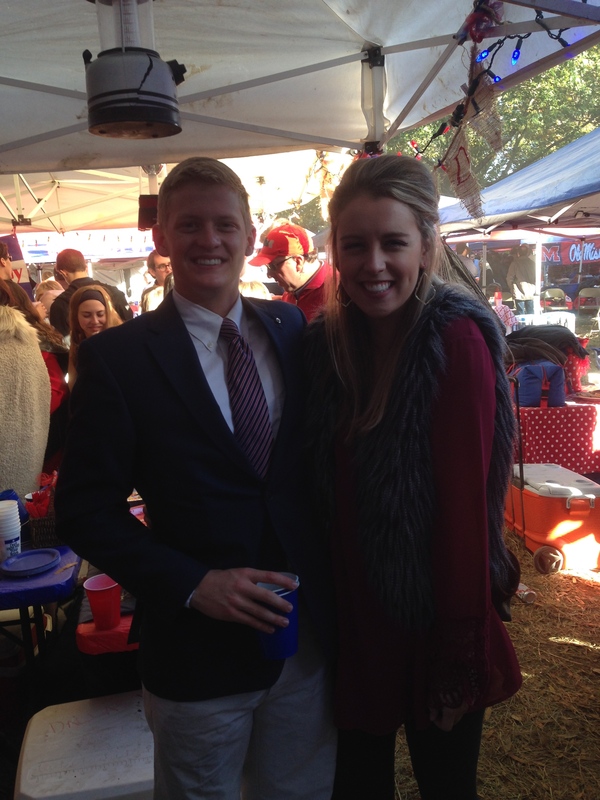 The Grove was the most fantastic tailgating experience I’ve ever had… I’m dying to go back!